WATER enthusiasts are now able to skip along Pacific waves without actually going to sea. A 20-foot pole attached by a swivel to the rear end of an automoible does the trick. 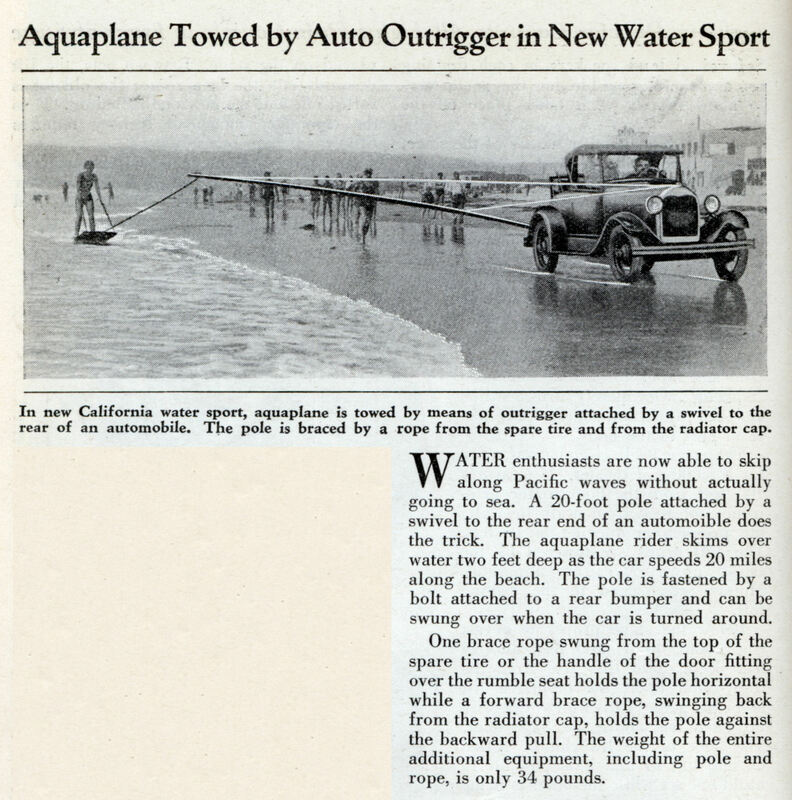 The aquaplane rider skims over water two feet deep as the car speeds 20 miles along the beach. The pole is fastened by a bolt attached to a rear bumper and can be swung over when the car is turned around. 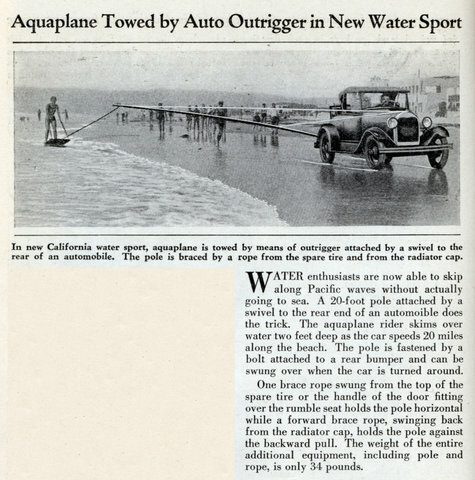 One brace rope swung from the top of the spare tire or the handle of the door fitting over the rumble seat holds the pole horizontal while a forward brace rope, swinging back from the radiator cap, holds the pole against the backward pull. The weight of the entire additional equipment, including pole and rope, is only 34 pounds.